Representatives from MTSU’s College Republicans and College Democrats hosted a policy debate in the Student Union Building Thursday night. 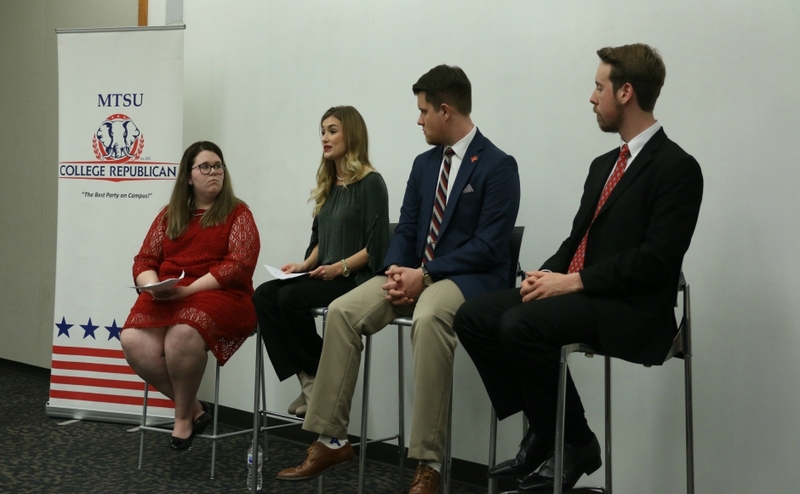 Participating in the debate was April Carroll, the chairman of the College Republicans; Madison Albertson, the recruitment director of the College Republicans; Dalton Slatton, president of the College Democrats and Nathan Watkins, vice president of the College Democrats. Lauren Hennessee moderated the debate. 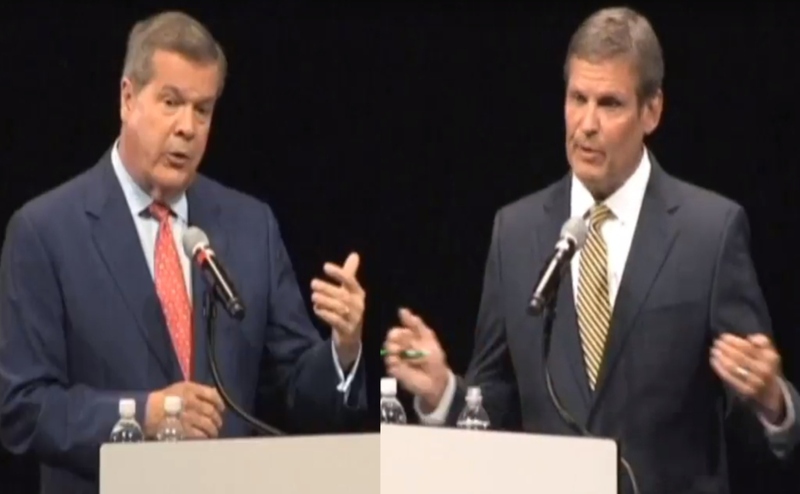 Hennessee explained that the debate would be divided into major issues including the Second Amendment, immigration and abortion. The audience would be alloted time after the debate to ask questions to any of the participants. The first question that Hennessee asked was for both sides to explain their party’s position on gun control. Watkins answered for the College Democrats, explaining that, for most Democrats, stances on gun control are correlated to geographic location in the country. Watkins said that he “fell under that category of Democrat,” explaining that he grew up around guns and hunted all of his life. 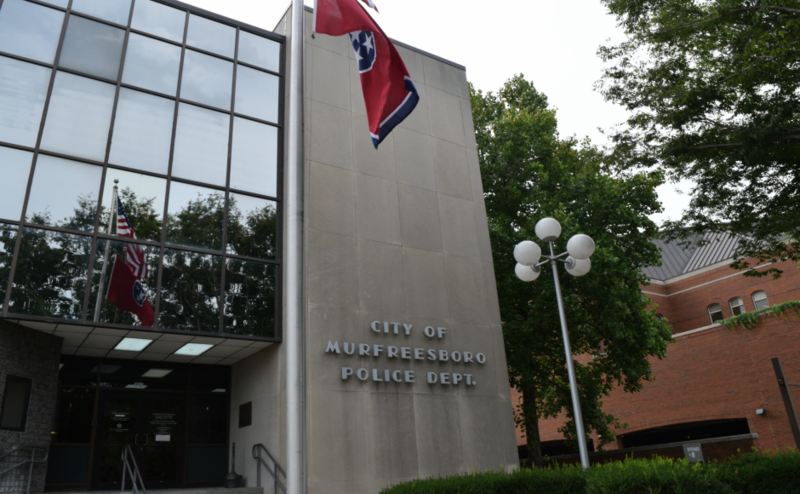 “We looked at this, and we looked at each other and thought, ‘There is no way that anything like this should have happened in modern-day America,’” Watkins said. Carroll answered for the College Republicans, saying that the Republican Party “feels very strongly about the Second Amendment.” She cited the District of Columbia v. Heller Supreme Court case in 2008. 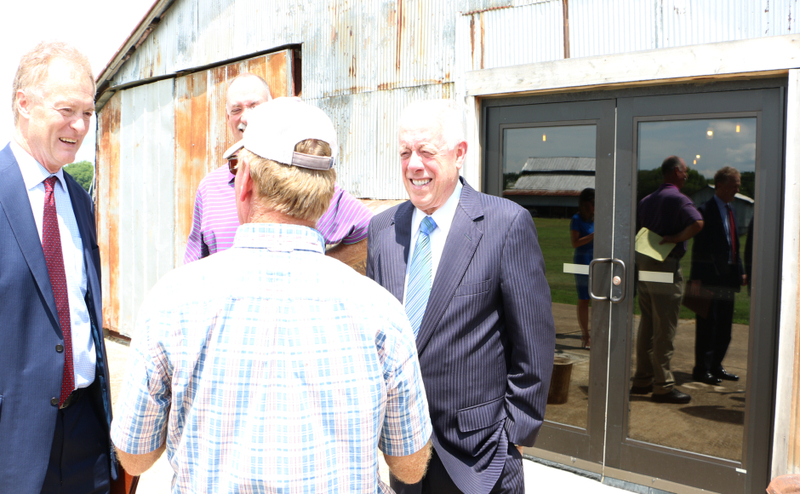 Carroll explained that the Republican Party doesn’t believe in big government and gun control. Carroll used Chicago as a “prime example” of gun control failing. Hennessee asked that representatives from both parties explain their party’s views on Deferred Action for Childhood Arrivals, or DACA. Albertson brought the printed definition of DACA to assist with her explanation. She explained that DACA does not provide lawful status for the children who utilize it. Slatton then answered for the democratic party’s views on DACA. He said that he agreed with Albertson’s point of defining DACA so that it could be better addressed. Slatton explained that sending children back to their home countries is a negative for everyone. The final section of the debate involved Hennessee asking each party’s representatives why they support a pro-choice or pro-life stance on the issue of abortion. 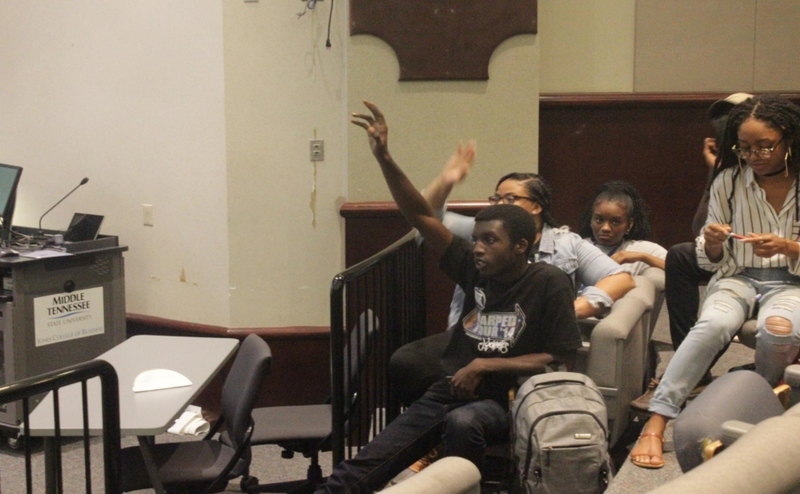 Watkins answered for the College Democrats. “With this stance, it all comes down to ideology,” Watkins said. Watkins talked about “the biggest debate right now over abortion,” or third trimester abortions. “In my opinion, I don’t think an abortion in the third trimester is the greatest thing in American history, but politicians agree with me,” Watkins said. Carroll answered for the College Republicans. Carroll provided statistics on abortion in the U.S.
Carroll then quoted Ben Shapiro, a conservative American commentator. She said that she believed Shapiro explained the abortion issue best. At the end of the debate, the audience members were given time to ask questions for both parties. I think that it is a very educational thing for young political activists to be able to have practice discussing controversial topics in a low-pressure environment. The two parties were very respectful of each other during this debate, which is not necessarily the case for actual politicians and it sheds light on those who may very well be our country’s future leaders and activists. MTSU as a public institution is doing a great job of providing opportunities for young politicians to hone their debate skills as well as learn how to navigate events like debates in a way that is professional. It is also interesting to see the two very different viewpoints college students, just like the rest of the country, have. It has always seemed to me that college students are generalized as being less conservative than older generations, so it is interesting hearing the views and opinions of those that are my age who are more conservative than college students are portrayed as being. I believe that it is incredibly important to let everyone, regardless of their views, have a safe and neutral environment to speak their mind and talk about the subjects they are passionate about and I am glad that I attend a school that provides this for its students.